One of the largest Dane axes ever found, recovered by archaeologists from a 10th-century Viking tomb near Silkeborg in central Denmark. Archaeologists have discovered one of the largest Viking axes ever found, in the tomb of a 10th-century "power couple" in Denmark. Kirsten Nellemann Nielsen, an archaeologist at the Silkeborg Museum who is leading excavations at the site near the town of Haarup, said Danish axes like the one found in the tomb were the most feared weapons of the Viking Age. The simplicity of the mighty ax, without any decorations or inscriptions, suggests this fearsome weapon was not just for show. "It's not very luxurious," she said. 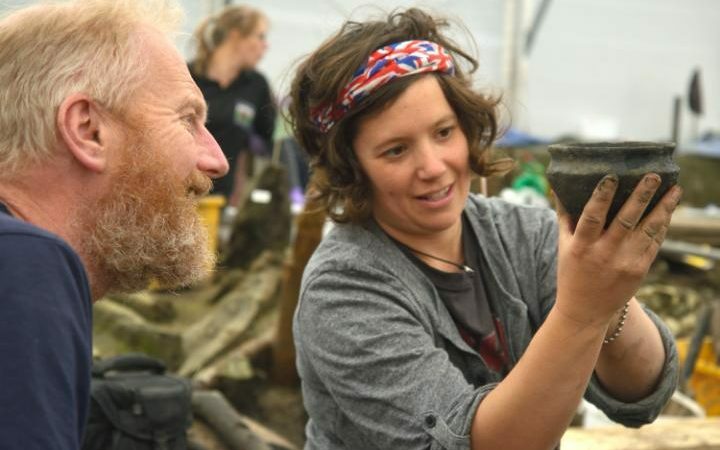 Archaeologists from the University of Leicester have discovered the hidden gems of the Leicestershire village during an investigation into how different generations have re-used ancient sacred places. 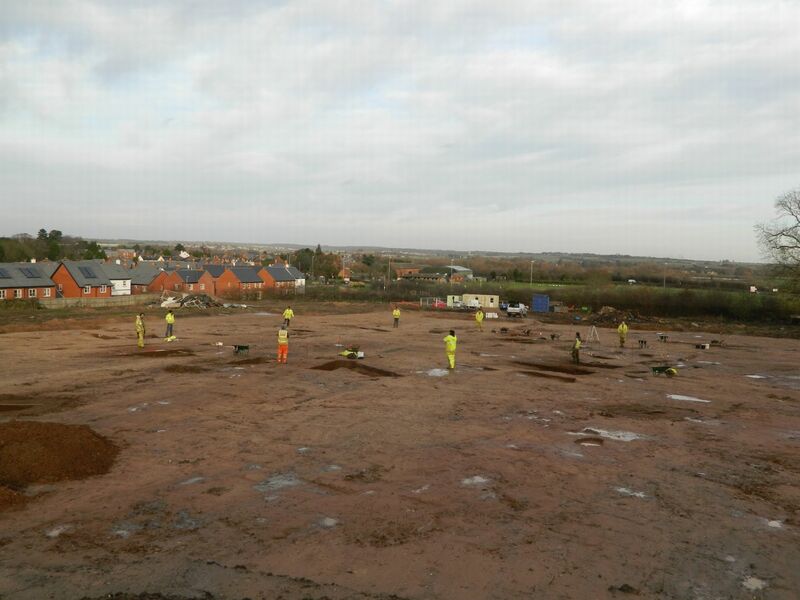 Archaeologists have dug into Rothley's ancient past and discovered a bronze age barrow and an Anglo-Saxon cemetery - shedding important light on the history of the area. 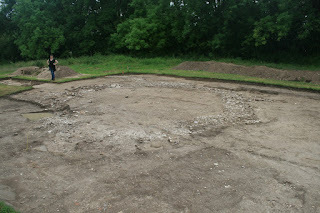 The project, funded by Persimmons Homes in advance of a new housing development off Loughborough Road, Rothley, explored the concept of Iron Age and Anglo-Saxon people possibly making connections with Bronze Age barrow builders in order to create their own sense of place in the landscape. Several 2000-year-old personal hygiene sticks with remains of cloth, excavated from the latrine at Xuanquanzhi. Credit: Reproduced from the Journal of Archaeological Science: Reports. Silk, tea and spices weren't the only things that travelers carried on China's legendary Silk Road: Ancient poop shows that infectious diseases were also transported along this network of trade routes, according to a new study. Researchers excavated 2,000-year-old feces from a latrine along the Silk Road in northwestern China, and found that it contained eggs from the Chinese liver fluke, a parasitic worm that is typically found at least 930 miles (1,500 kilometers) away, according to the study. 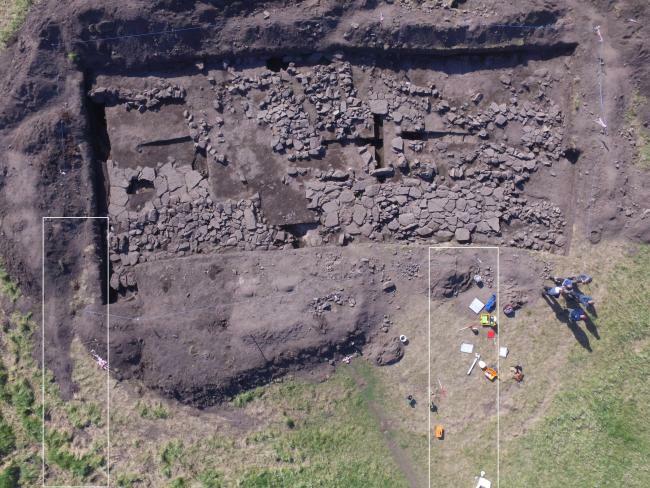 ARCHAEOLOGISTS have found a human arm bone during an excavation of Neolithic buildings at Ness of Brodgar on Orkney. The University of the Highlands and Islands Archaeology Institute, leading the dig, believe the bone was deliberately placed and could be the remains of a respected original founder of the large complex. Ness of Brodgar site director Nick Card described it as an important and exciting find. He said there were several theories as to who the arm belonged to which would be explored further. The Ness of Brodgar is a new archaeological discovery in Orkney located between the Ring of Brodgar and the Standing Stones of Stenness. When we talk of the history of computers, most of us will refer to the evolution of the modern digital desktop PC, charting the decades-long developments by the likes of Apple and Microsoft. What many don't consider, however, is that computers have been around much longer. In fact, they date back millennia, to a time when they were analogue creations. 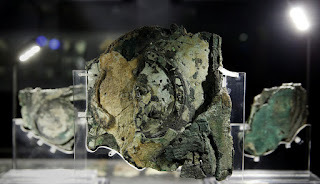 Today, the world's oldest known "computer" is the Antikythera mechanism, a severely corroded bronze artefact which was found at the beginning of the 20th Century, in the remains of a shipwreck near the Mediterranean island of Antikythera. It wasn't until the 1970s that the importance of the Antikythera mechanism was discovered, when radiography revealed that the device is in fact a complex mechanism of at least 30 gear wheels. The mechanism has since been established as the first known astronomical calendar, a complex system which can track and predict the cycles of the solar system. Technically, it is a sophisticated mechanical "calculator" rather than a true "computer", since it cannot be reprogrammed, but nonetheless an impressive artefact. 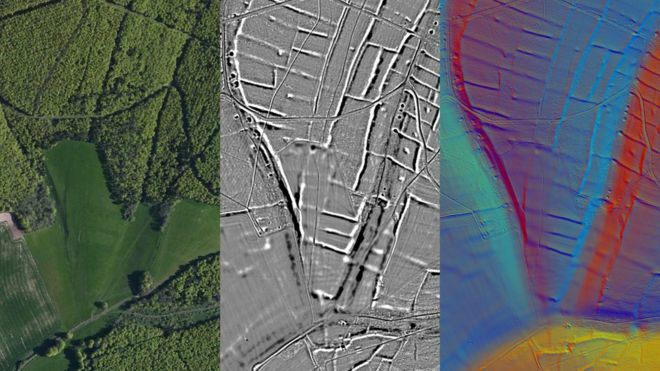 Evidence of a prehistoric "farming collective" has been discovered after aerial laser scanning was carried out in the South Downs National Park. Large-scale farming from before the Roman invasion suggests a high level of civilisation, archaeologists said. The survey also revealed the route of a long-suspected Roman road between Chichester and Brighton. It covered an area between the Arun river valley in West Sussex and Queen Elizabeth Country Park in Hampshire. An ancient village dubbed "Britain's Pompeii" was just a few months old when it burnt down, it has emerged. Analysis of wood used to build the settlement suggests it was only lived in for a short time before it was destroyed. Despite this, archaeologists said the site gives an "exquisitely detailed" insight into everyday Bronze Age life. Evidence of fine fabric-making, varied diets and vast trading networks has been found during the 10-month dig. 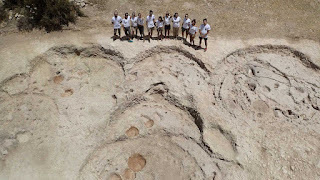 Recent archaeological digs have uncovered more than 20 round buildings in what is believed to be Cyprus' earliest known village, dating as as the 9th millennium BC, the east Mediterranean island's Department of Antiquities said Tuesday. The department said in a statement that excavations, which concluded last month in the Ayios Tychonas-Klimonas area near Cyprus' southern coast, also found domestic dogs and cats had already been introduced to Cyprus when the village was active 11,200 to 10,600 years ago. It said villagers hunted small wild boar and birds, but didn't produce pottery. Excavations directed by Francois Briois from France's School for Advanced Studies in the Social Sciences and Jean-Denis Vigne from France's National Center for Scientific Research-National Museum of Natural History found most buildings had built-in fireplaces as well as a 30- to 50-kilogram (66- to 110-pound) millstone. Large quantities of stone tools, stone vessels, stone and shell beads or pendants were also discovered. From pristine gardens to the latest home extensions, trying to outdo one's neighbours has become something of a quintessential British pastime. But keeping up the Joneses is not a new phenomenon, according to archaeologists. A 3,000-year-old settlement in Cambridgeshire has revealed howBronze Age people also had the latest must-haves in homeware, fashion, and beauty techniques. The Must Farm Quarry, which has been nicknamed Britain’s answer to Pompeii after being preserved in remarkable detail, shows how Bronze Age society was far more sophisticated than previously thought. 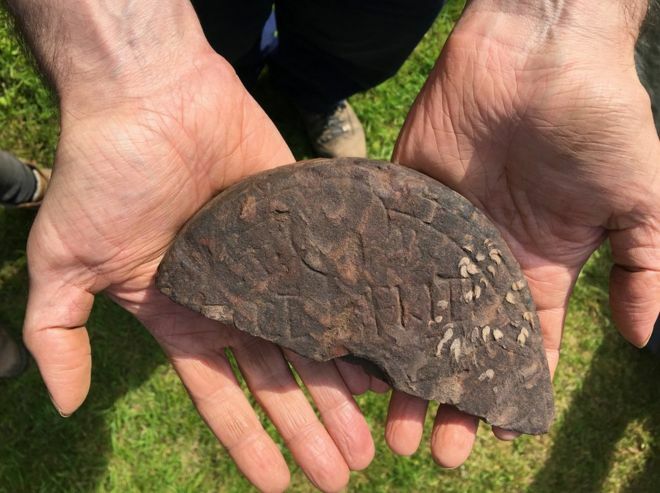 An amateur archaeologist has unearthed what is believed to be evidence of one of England's earliest Christian monasteries in a dig on Lindisfarne. The rare grave marker, thought to be from the mid 7th-8th Century, has been described as a "stunning find". Project leader Lisa Westcott Wilkins said the name stone was "absolutely fantastic diagnostic evidence". "It was a spectacular moment and, even better for us, is that...it wasn't found by one of the team leaders or experts, it was found by a member of the public who had helped to fund and make the project possible," she said. The team has made a 3D interactive image of the find. Denmark's biggest royal castle, Vordingborg, is set for an updated history after an archaeological dig shed new light on a key figure in its past. The castle, located on the southern coast of Zealand facing across the Baltic Sea towards Germany, was originally built in the 12th century by King Valdemar the Great. Valdemar used it as a base for raids on Germany and, later under Valdemar's son Valdemar II the Victorious, Estonia. The simple grave in question had been dug into mudstone on the west bank of the River Soar, to the south-west of the Roman town close to the important road known as the Fosse Way. 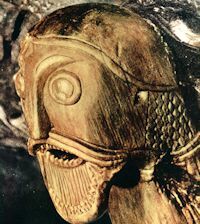 Buried in the grave were the remains of a middle-aged man wearing an elaborately decorated belt in a style that would have been worn by a Late Roman soldier or civil servant during the second half of the 4th century or the early 5th century AD. The Ny Carlsberg Glyptotek in Copenhagen, which holds the largest collection of antiquities in northern Europe, has agreed to restitute illegally excavated artefacts to the Italian government. In an historic agreement under negotiation since 2012, the Danish museum will return the eighth-century BC bronze chariot, shield, weapons, incense burners and tableware from the tomb of an Etruscan prince, among other archaeological objects, to Italy between December and the end of 2017. The pieces, believed to have come from the Sabine necropolis at Colle del Forno near Rome, could be sent to the Museo Civico Archeologico di Fara in Sabina, where additional material from the tomb—an unusually large structure indicating the special status of the deceased—is on display. A statement issued by the Glyptotek acknowledged that: "investigations have shown that the objects had been unearthed in illegal excavations in Italy and exported without licence". Fourni, which is a collection of small islands near Turkey, was a popular anchorage and navigational point for Aegean crossing routes. Usually it was safe for ships, but over thousands of years, storms inevitably claimed some vessels, like this wooden ship resting on the seaflood. A cluster of Greek islands in the Aegean Sea is giving up some of its deep secrets, as archaeologists have now found 45 shipwrecks there in less than a year's time. 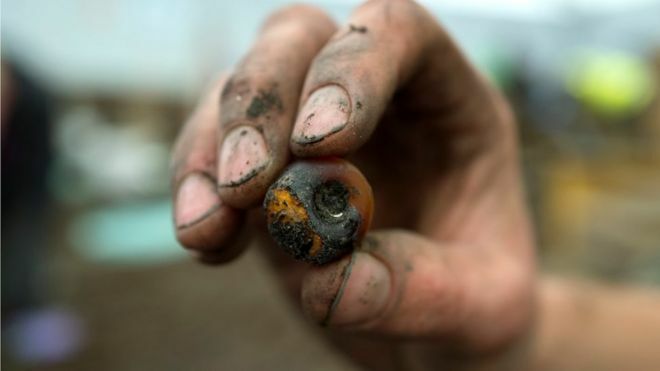 This included evidence of what experts believe is the earliest farming activity recorded in Scotland, and also remains of hunter-gathering activity dating back thousands of years before farming began. The discoveries were made by archaeologists from the University of Glasgow as part of the ten year Strathearn Environs and Royal Forteviot (SERF) project. This year the project received an archaeology grant of £100,000 from Historic Environment Scotland to carry out geophysical survey, excavation, archival research and reporting. 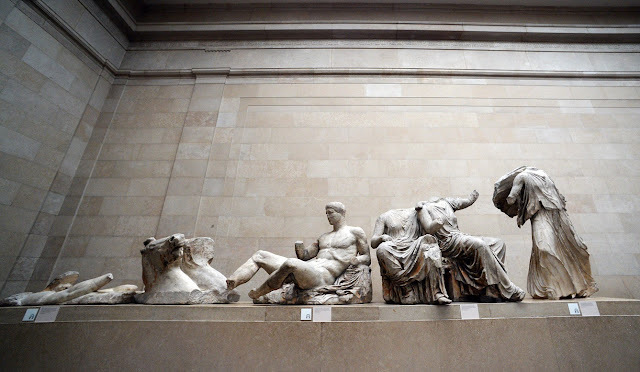 The issue has long been a source of tension between, on one side, the UK Government and British Museum, where the 2,500-year-old marbles are currently on display, and, on the other, Greece and international supporters of the reunification of the Parthenon temple's sculptures. About half the surviving sculptures were taken from the Parthenon in Athens by Thomas Bruce, the seventh Earl of Elgin, and later bought by the British Government after parliament passed an Act that came into force on 11 July, 1816. The other half are currently in the Acropolis Museum in Greece. Au lieu-dit Parc al Lann à Ergué-Gabéric, les archéologues de l’Inrap mènent une fouille préventive sur 6 hectares, en amont d’un projet d’aménagement par Quimper communauté. Le site occupe une situation privilégiée avec une vue à 180 degrés sur un fond de vallée et les hommes s’y sont naturellement installé depuis des millénaires. Primate archaeology is a new and unusual-sounding field, but it has revealed ancient evidence of some clever and dextrous monkey culture. Researchers from Oxford University, working in Brazil, found ancient "nut-cracking tools" - 700-year-old stone hammers that capuchin monkeys used to open cashew nuts. One of the researchers, Dr Lydia Luncz, explains how the team found evidence of these "Stone Age monkeys". New excavations in Scandinavia’s first city, Ribe, suggests rapid change at the end of the 9th century. An excavation of burial grounds in Scandinavia’s first city, the Viking town of Ribe in Denmark, raises more questions than it answers. Why did the town suddenly start to build on top of the graveyard, and was it related to the fall of the Danish monarchy? From the beginning of the 8th century up until the end of the 9th century, Viking graves in the town of Ribe in Denmark were largely reserved for the most holy of citizens. Ribe is considered the first city in Scandinavia and it developed into an important trade city. Graves were afforded a special place in the city--and left undisturbed as the town expanded around them. But by the end of the 9th century something changed. “While the marketplace expanded, they suddenly started to build on top of these graves. In some cases they built almost ostentatiously right on top of a grave, which was probably visible and marked,” says archaeologist and excavation leader Søren Sindbæk from the University of Aarhus, Denmark. “Previously, people thought that Ribe had stopped developing as a city by the 900s, but the results of our grave excavations now suggest that this could be completely wrong. I think something dramatic happened,” says Sindbæk. The excavations suggest that simultaneous with the construction above the graves, someone also built a fortress and a 700 metres long and 20 metres wide moat around the city. 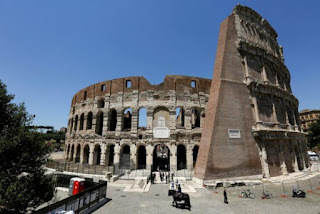 Rome's Colosseum was visibly cleaner on Friday as Italy showed off the latest phase of restoration of one of its most famous landmarks. Prime Minister Matteo Renzi, speaking on a stage in the amphitheatre built to host gladiatorial contests nearly 2,000 years ago, hailed the mammoth clean-up project as an example for protecting the country's vast cultural heritage. Italy's monuments were neglected for decades amid shrinking government funding and alleged mismanagement, which put some of its 51 UNESCO World Heritage sites at risk of crumbling. The Danish architecture firm AART has been chosen to build the new Viking Age Museum in Oslo. The firm’s circular design ‘Naust’ was chosen for the building on the Bygdøy peninsula in Oslo, it was announced on Friday. “This contribution provides a very good solution to a complicated task,” Synnøve Lyssand Sandberg of the Norwegian Directorate of Public Construction and Property (Statsbygg) said. “The building has good functionality for the public. Those who want a short visit will be able to get a good overview and an experience of ships and collection. At the same time there will be ample opportunity for further study and exploration,” she added. The existing Viking Ship Building from 1926 will be incorporated into the new circular design. Astronomers are exploring what might be described as the first astronomical observing tool, potentially used by prehistoric humans 6,000 years ago. They suggest that the long, narrow entrance passages to ancient stone, or 'megalithic', tombs may have enhanced what early human cultures could see in the night sky, an effect that could have been interpreted as the ancestors granting special power to the initiated. 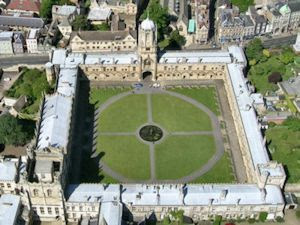 The team present their study at the National Astronomy Meeting, being held this week in Nottingham. The team's idea is to investigate how a simple aperture, for example an opening or doorway, affects the observation of slightly fainter stars. 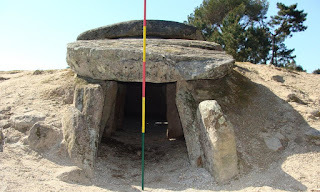 They focus this study on passage graves, which are a type of megalithic tomb composed of a chamber of large interlocking stones and a long narrow entrance. These spaces are thought to have been sacred, and the sites may have been used for rites of passage, where the initiate would spend the night inside the tomb, with no natural light apart from that shining down the narrow entrance lined with the remains of the tribe's ancestors. The archaeologists who have carried out the recent preparatory excavations of the Western Gate of the AncientRoman city of Serdica, the predecessor of today’s Bulgarian capital Sofia, have discovered a wooden structure which was probably part of an ancient moat bridge. The excavations of Serdica’s Western Gate started in May 2016, and were wrapped up in a month to prepare the site for a restoration project funded by the Norway Grants and EEA Grants with nearly BGN 947,000 (app. EUR 500,000), which is supposed to be executed over the summer. One of the most interesting finds dating back to the 2nd-4th century AD that have been unearthed by thearcheological team are the wooden remains from a bridge of Roman Serdica. The discovered wooden structure was probably used to prop up the bridge. It was found right in the section right in front of the Western Gate. 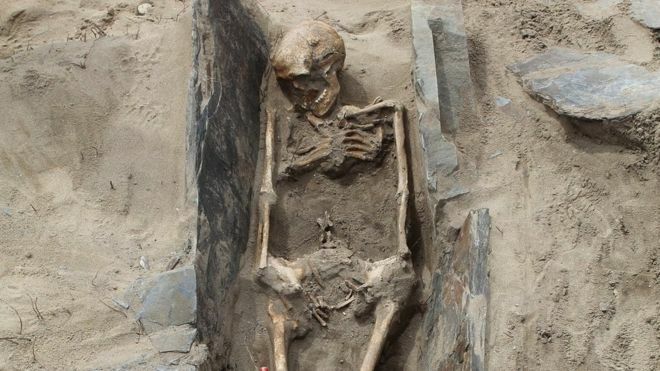 Skeletons uncovered at a Pembrokeshire burial site may be the remains of contemporaries of the Patron Saint of Wales, archaeologists believe. The discovery was made during the third and final excavation at St Patrick's Chapel at Whitesands Bay, St Davids. It found Christian burial sites dating from the early-6th Century when St David was a bishop. This means a medieval plot found during a previous dig there was not the earliest use of the site. A recent archaeological dig near Meonstoke, Hampshire, has revealed the foundations of a Roman building with a very rare hexagonal shape. The discovery was made by the amateur Meon Valley Archaeology and Heritage Group, led by University of Winchester archaeologist Dr Nick Stoodley, using geophysical equipment on loan from Historic England. Meonstoke villagers Alison Smalley and John Snow have been organising support from the other Meon Valley villages. Armed with trowels and kneels, around eighty people of all ages took part in groups of 12 a day. En amont de la construction du lotissement « Les Terrasses de Maubec » par PRODEVAR, filiale de GGL Groupe, les archéologues de l’Inrap fouillent, jusqu’au 22 juillet, une emprise de 5 000 m2. Réalisée sur prescription de l’État (Drac Auvergne Rhône-Alpes), cette opération porte sur l’étude d’une villaconstruite à flanc de coteaux aux IIe-IIIe siècles de notre ère. Ce domaine agricole gallo-romain s’inscrit dans un ensemble d’établissements similaires qui émaillent le paysage et qui, probablement, ravitaillent le bourg, déjà existant, de Montélimar. Is there anything quite as chillingly middle-English as a head swinging mournfully from a set of gallows, silhouetted over some rugged and desolate moorland? 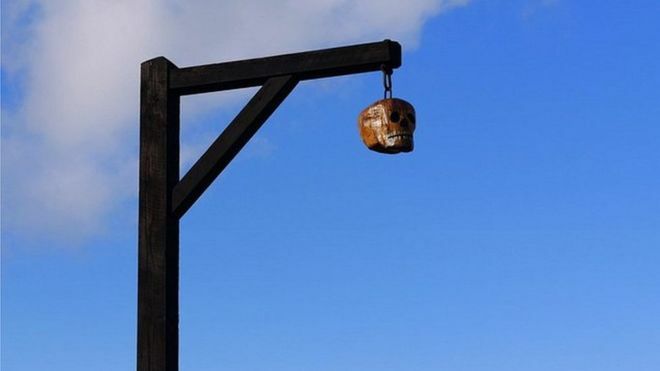 The Oxfordshire town of Thame has announced it is considering bringing back stocks as a tourist attraction, but which other settlements have kept their instruments of medieval correction? Stocks date back to at least the time of the Black Death in the 14th Century. Labourers were banned from leaving their homes to find better wages elsewhere and those who broke the law were put in stocks. Every town or village was required by law to have a set. But being put in the stocks was a fairly minor punishment. Many places had whipping posts, pillories and even gallows. Here's a ghoulish tour of England's harsh past.